While the Dreamliner has fewer seats than the A330s and 747s it is replacing on the Hong Kong route, there is a higher proportion of premium seats on board. By contrast, the 10 A330-300s in the Qantas fleet have 287 seats, with 28 in business class and 269 in economy. Meanwhile, the airline’s 18 two-class A330-200s, which are mostly deployed on domestic routes, have either 287, 271 or 251 seats, depending on configuration. “Introducing the Dreamliner to Hong Kong reinforces our commitment to Asia, where we are seeing strong demand from premium travellers,” Qantas international chief executive Alison Webster said in a statement on Tuesday. Meanwhile, the use of the 787-9 to Hong Kong would free up A330s to either increase capacity on domestic routes or mount additional flights to existing Asian destinations. Currently, Qantas uses four 787-9s to operate a Los Angeles-Melbourne-Perth-London Heathrow rotation. From September 1, it will also be used on the Melbourne-San Francisco route four times a week. The start of those flights would also coincide with a rebalancing of Qantas’s capacity between Melbourne and the United States, with the six-times weekly 787-9 Melbourne-Los Angeles flights trimmed back to two flights a week. The choice of Hong Kong as the newest destination in the 787-9 network suggested Qantas had, for now, decided against opening up a new gateway in North America. That possibility was raised a year ago in August 2017 when Qantas said it would base four 787-9s at Brisbane. At the time, Qantas was keen to highlight the potential of a new long-haul route from Brisbane thanks to the next generation Boeing widebody, noting in its statement the 787-9 was capable of flying from Brisbane to Chicago, San Francisco, Seattle and Vancouver in North America, in addition to operating Asian routes. 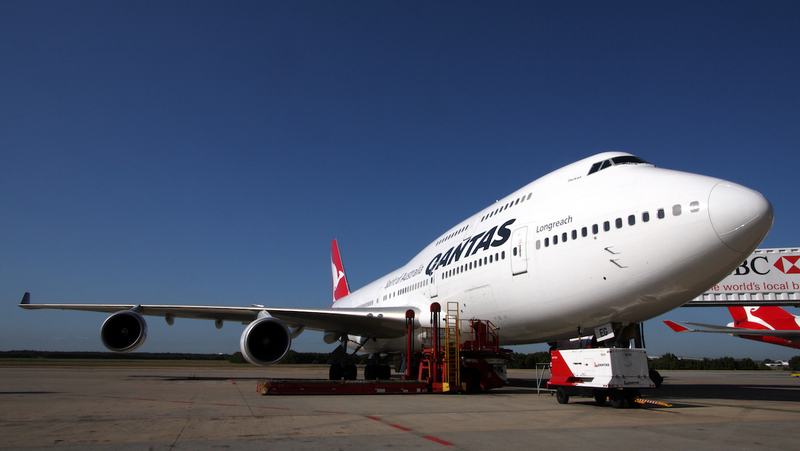 “We’ve said that initially our Dreamliners will replace the routes that our older 747s fly but there are also new destinations we are looking at given the capability of the aircraft,” Qantas chief executive Alan Joyce said. The Brisbane-based 787-9 fleet will from September 1 replace the 747-400 on the daily Brisbane-Los Angeles-New York rotation. The 747-400 will operate an additional three flights a week between Brisbane and Los Angeles to help offset the reduction in available seats on the route. A Qantas spokesperson told Australian Aviation on Tuesday the airline was always reviewing and considering new destinations, including those in the US. The fifth 787-9 in Qantas colours arrived in Australia in early July, with three more due by the end of calendar 2018. Looking further ahead, Qantas has firm orders for six more 787-9s due to arrive between late 2019 and mid-to-late 2020. “The 787 has better economics and a longer range, and it has already opened up new routes like Perth to London,” Joyce said on May 2. Qantas is currently waiting on a decision from the United States Department of Transportation (DoT) on its proposed expanded alliance with American Airlines on trans-Pacific routes. How the DoT, which rejected the two carrier’s first application in 2016, rules may influence the airline’s decisions on its North American network. 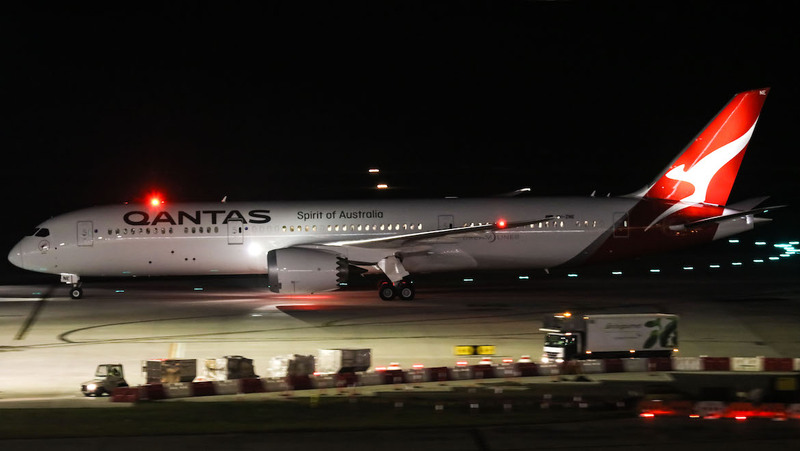 Chief analyst at aviation thinktank CAPA – Centre for Aviation Brendan Sobie said the use of the 787-9 to an existing Qantas market such as Hong Kong was a surer bet than launching a new North American route. 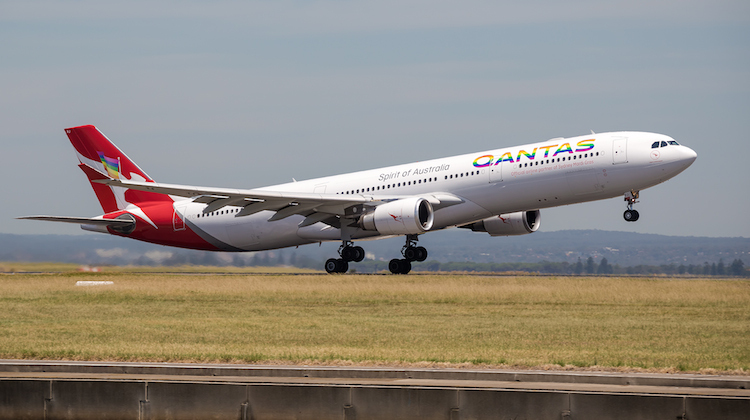 “The fact Qantas has shied away from launching a new long haul from Brisbane is disappointing for Brisbane Airport and Queensland consumers,” Sobie told Australian Aviation on Tuesday. “However, it is a sensible move for Qantas given the relatively unattractive economics of the potential Brisbane-US routes. Qantas should also order at least 10 787-10s in either a 42 business, 56 Premium Economy and 214-223 economy for a total of 312 or a layout of 30 Business, 56 premium, 238 economy for a total of 324 seats. This would not only increase the number of seas but it would also increase the profitability of the 787s. The 787-10 has a lower MTOW than the A330-300s with a greater number of passengers meaning operating costs are much lower. A decent mix of 787-9s and -10s would really benifit Qantas along with a fleet of 737Max and NMAs. Sadly, however, we still want the 747-8i but it’s slim to non-Qantas would be ordering it any time soon however it would be able to meet the Project Sunrise requirements with 2 AUX tanks along with some tweaks from Boeing and GE. The 787-10 would also offer more 1 stop routes into Europ via Singapour and Thailand. If Qantas where smart the 777X would be in the fleet as well due to common type ratings meaning less training for pilots and crew. Qantas should really look into adding the 787-10 into the fleet. A One eyed Boeing viewed post, if I have ever seen one. The Airbus A350-1000 and -900ULR is a superior product compared to the Boeing 747-8i and Boeing 777x. Also, the A320neo family blows the twin engined (737) Boeing 707 out of the playing field. The order books says it all. I would have thought that they would have put the 787-8’s on the Asian routes. What QANTAS is saying that Brisbane’s 4th B787 is now going to Melbourne instead. It will operate a LAX-BNE-LAX between a MEL-LAX service and the next LAX-MEL service. This will allow 5 MEL-HKG return services to be operated with the extra plane. With Brisbane only operating 3 out the 4 extra BNE-LAX services, there is spare day for the plane to operate BNE-HKG return. At the end of March next year, this plane will be shifted to Sydney to operate SYD-HKG. This will allow Sydney based pilots to be trained to fly B787s prior to the arrival of the six extra B787s to replace SYD 747s services. The A380 being used for the cabin upgrade will become available to operate a SYD-HKG allowing the B787 to be withdrawn. However, the six extra B787s are not sufficient to maintain same passenger capacity as the B747s being replaced and A330s will have to used. Besides SYD-HKG as discussed above, the A330s only have the legs to fly SYD-HND out of the SYD B747s flights. 10 or 11 B787s/A330 are requirrd to replace the daily B747s. In non holiday periods there would be a B787 to operate SYD-HND with the other 3 or 4 flights having to be operated by A330s, possibly to another Tokyo airport. However, in Holiday periods 3 flights are operated to Vancouver plus an extra flight to South America. The SYD-HND B787 will possibly be transferred to these flights with a A330 as a replacement. No Premium Economy but 18″ wide seats in Economy.